On March 27, Indian Prime Minister Narendra Modi announced that his country had successfully conducted an anti-satellite (ASAT) test from a launch site on Abdul Kalam Island in the Bay of Bengal. Hailed by Modi as a moment of “utmost pride” and with “a historic impact on generations to come,” Mission Shakti was seen domestically as proof India was a space power on par with the United States, Russia and China. Yet internationally, the test is further evidence of the more complex space domain, the lack of progress on developing norms of behavior for space, and the challenges of ensuring its long-term sustainability. The likelihood that India would conduct an ASAT test was apparent to most India watchers. Ever since China destroyed one of its own weather satellites, the FengYun-1C (FY-1C), in January 2007, Indian space and security officials have debated internally the value of a possible Indian response to demonstrate that they too were a force to be reckoned with. India sees itself as locked in a regional competition with China for power and prestige, along with occasional military skirmishes along an unsettled border that risk escalating tensions between the two nuclear powers. India also was concerned about a repeat of history with it being one of the ASAT “have-nots” if there was ever a future ban on direct-ascent ASAT testing, as India had not tested a nuclear weapon before the Nuclear Non-Proliferation Treaty and thus is not considered to be a nuclear weapon state, per treaty language. After Modi’s announcement, evidence emerged that India had attempted an ASAT test weeks earlier but failed. The Indian government had released, and then canceled, a Notice to Airmen for a missile launch from Abdul Kalam Island between Feb. 10-12, and there were Indian press reports of a missile test against an “electronic target” Feb. 12. However, anonymous U.S. government officials told The Diplomat they detected a rocket launch that failed about 30 seconds into flight. Outside experts confirmed that the date and time of the Feb. 12 test corresponded with a pass of Microsat-R, the eventual target destroyed March 27, strongly suggesting the Feb. 12 launch was intended to be an intercept. The dynamics of Mission Shakti resembled America’s intercept of its own USA 193 spy satellite in February 2008 more than China’s destruction of the FY-1C, as shown in the table above right. The American and Indian tests used modified missile defense interceptors, a Standard Missile 3 and a Prithvi Defense Vehicle Mark II, respectively, while the Chinese test used a modified medium-range ballistic missile, the Dong Feng 21. Although each of the three tests created thousands of pieces of debris, the low altitude of both the Indian and American tests meant relatively few pieces stayed in orbit, albeit with some fraction of those being thrown to much higher orbits. In the case of the American test all the orbital debris re-entered within 18 months, even those pieces of USA 193 thrown as high as 2,600 kilometers. The much higher altitude of the Chinese ASAT test resulted in more than 3,000 pieces of long-lived orbital debris that will be on orbit for decades to come. India also appears to have learned from both the Chinese and American tests about how to portray the test as having been done in a responsible manner. The Chinese government was silent for more than a week after its 2007 test, while international outrage and demands for answers built. By contrast, the United States conducted international briefings weeks ahead of February 2008 to argue why the destruction of USA 193 was necessary from a safety standpoint and highlight the steps it was taking to minimize any resulting orbital debris. 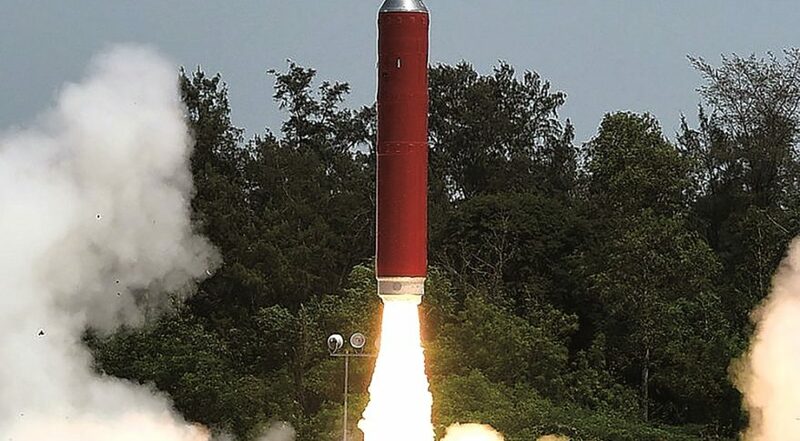 Within hours of its test, the Indian government released a “Frequently Asked Questions” webpage that explained why it had done an actual intercept instead of less destructive tests. The FAQ also went to great lengths to rationalize how the test did not change India’s position on preventing an arms race in outer space or opposition to the weaponization of outer space. The political repercussions from Mission Shakti are likely to last much longer than any orbital debris it created. Other countries with ballistic missile and hit-to-kill technologies may decide that they too need to ‘join the club’ with a similar show of force. India may claim that Mission Shakti doesn’t change its commitment to peaceful uses of outer space, but nonetheless their actions may spur others to follow in their footsteps. A share of the blame also goes to the United States, Russia, and China who have helped feed the narrative that offensive counterspace weapons are an important measure of space power and prestige. All three countries have serious efforts underway to develop, test, and deploy a wide array of offensive counterspace capabilities. Russia and China both established their own space warfighting commands years before U.S. President Donald Trump called for a Space Force, and yet continue to make the case that America is at fault for weaponizing space. The reality is that all three countries see space as increasingly important for their national security and military capabilities and are developing capabilities and plans for future conflicts that may extend into space. India’s ASAT test also lays bare the failure of U.S. efforts to establish norms of behavior in space. This has been something much talked about by both the Obama and Trump administrations as an important part of their space policies and strategies, but with very little actual progress to speak of. Establishing norms of responsible behavior in space is indeed important, but so far the U.S. has failed to articulate what exactly it means by that, make any concrete proposals, or take meaningful actions to call out irresponsible behavior in space by others. While the U.S. continues to raise concerns about the 2007 Chinese ASAT test, it refrained from calling for a norm against such testing, most likely because U.S. officials want to maximize their own freedom of action for missile defense or ASAT testing. The only norm the U.S. seems to have successfully established is that it is OK to test kinetic ASAT weapons against satellites, as long as you try and minimize the resulting orbital debris. There have been some attempts in international fora to discuss destabilizing actions in the space domain, but they have been limited in scope and results. The UN Committee on the Peaceful Uses of Outer Space agreed in June to 21 guidelines for the long-term sustainability of outer space, but these were broadly conceived and worded and very specifically were not intended to provide guidance on ASAT development, testing or usage. There were discussions in Geneva over the last year of a UN-supported Group of Governmental Experts (GGE), which included the United States, Russia, China and India among others that attempted to create a report on the on further practical measures for the prevention of an arms race in outer space. The GGE finished last month without reaching consensus and so there is no clear multilateral path to a solution at this time. A big obstacle to progress is that there is a fundamental difference in approach toward space security and stability between the U.S. and its allies on the one hand and Russia, China, India, and most of the rest of the world on the other. The U.S. and its allies argue for the need to regulate/modify behavior on orbit, pointing out that due to the dual-use nature of space technology, it does not make sense to try to limit hardware. By contrast, Russia, China, and India argue for a more classic arms control approach that focuses on banning technology or hardware in space and excludes ground-based ASAT weapons. The good news is that more countries than ever are concerned about this issue and engaged in trying to develop solutions. Recognizing that the actions of one can negatively affect the ability of all to use space, irresponsible actions have become the business of all space users, not just those states who may have the technical capacity to hold an ASAT test. 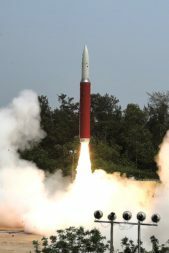 Ironically, Mission Shakti may also mean India is more willing to now consider some sort of ASAT test ban that may help break the deadlock, although the international community should also consider whether it’s appropriate to reward India for their behavior with some sort of special status. The other good news is that we don’t need to rely on countries alone to call out irresponsible behavior in space or help enforce norms. The recent commercial space boom means private companies are increasingly powerful players in the space domain and can leverage their brand, customers, and checkbooks to support their values and the economic viability of the domain they operate in. That viability rests on the long-term sustainability of the space environment itself and minimizing the costs and risks to commercial investment and space activities, which could be jeopardized by military activities such as debris-causing ASAT tests. Thus, an opportunity exists for companies to pair their own internal commitments to responsible operating practices with efforts to influence responsible action elsewhere in the supply chain, a common corporate social responsibility outcome. The Indian ASAT test showed this dynamic may already be at work: while governments were largely silent about Mission Shakti, several companies issued public statements criticizing or condemning the test. SWF plans to raise these issues and more during our first Summit for Space Sustainability, which will be held June 25-26 in Washington. The Summit will be open to the public and will convene experts from around the world to discuss multiple aspects of space sustainability. The focus will be developing recommendations for norms of responsible behavior across civil, commercial, and national security space activities that promote the long-term sustainability of space. We invite all interested members of the space community to attend and help us forge solutions to help prevent future irresponsible activities that endanger that sustainability for all. Brian Weeden is director of program planning at the Secure World Foundation. Victoria Samson is the Washington office director of the Secure World Foundation.